The Robert Wood Johnson Foundation Sports Award recognizes sports teams, athletes, and community-based organizations that use sports to catalyze and sustain changes to make communities healthier places to live, learn, work, and play. We want to hear from organizations using sports in innovative and collaborative ways to make their communities a healthier place to live. How do you use sports as a platform to address the root causes that influence health and health equity? The Washington Nationals Youth Baseball Academy supports underserved children and their families in Washington, D.C., combining sports, nutrition, academics, and meaningful civic engagement. After representing the U.S. Men’s National Team in the 2002 FIFA World Cup, Tony Sanneh established The Sanneh Foundation (TSF) in 2003 to advance diversity, equity, and community well-being for Minnesota's youth. Soccer Without Borders runs year-round youth development programs in underserved areas in the United States and abroad, building a more inclusive world through soccer. RWJF celebrates, supports, and raises awareness for ways sports are being used to help people achieve health and well-being, especially those who are facing the greatest challenges. The Giants Community Fund collaborates with the San Francisco Giants by using baseball as a forum to encourage underserved youth and their families to live healthy, productive lives. Watch their video. The Moyer Foundation provides comfort, hope, and healing to children and families affected by grief and addiction by addressing critical their needs and overwhelming emotions associated with the death of someone close to them or substance abuse in their family. Watch their video. PeacePlayers International uses the power of sport to unite, educate and inspire young people to create a more peaceful world. The Flutie Foundation helps people with autism get access to care, lead more active lifestyles, and grow toward adult independence. Watch their video. The MLSE Foundation believes all kids should have access to sport and the opportunity to both develop and pursue lasting dreams on the playing field. Watch their video. InnerCity Weightlifting reduces youth violence by connecting proven-risk young people with new networks and opportunities, including meaningful career tracks in and beyond personal fitness. Read related blog post. 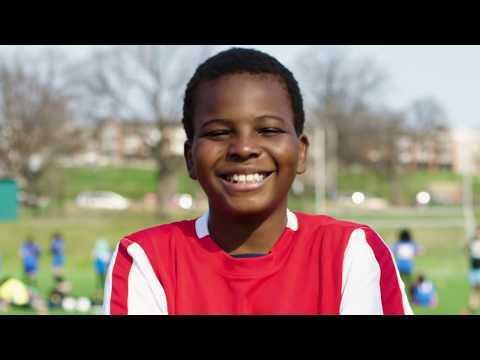 Chicago Fire Foundation's programs—P.L.A.Y.S. and Premier Skills—have allowed them to help build healthier communities and provide safe play spaces for those in need. The Tony Hawk Foundation provides spaces for children to be active, maintain a healthy lifestyle, play safely and use sports to increase self-esteem and leadership skills. Watch their video. Doc Wayne Youth Services' work fuses sport and therapy to heal and strengthen youth suffering from a variety of mental health challenges. Watch their video and read the related blog post.